Oy. The days, they swoop by, and I keep meaning to blog! I guess it’s been a pretty good start to the new year, with exciting happenings and parties and such. In the meanwhile, I’ve been continuing on a roll trying to get old projects off the needles. This is a worsted-weight version of Charlotte’s Web, done in a super soft and cushy wool/alpaca blend that I bought at Rhinebeck 2006. I had wanted to buy enough for a sweater, but the vendor didn’t take credit cards and it was the end of the day – so I only had enough cash to buy 2 skeins – I think they were 250 yards each. I think I’m going to give this one as a gift, so I’d better get to blocking it! That looks like it came out great – can’t wait to see it blocked! I really love the color, and I can’t wait to see it blocked. Very pretty. I’ll bet it feels great. 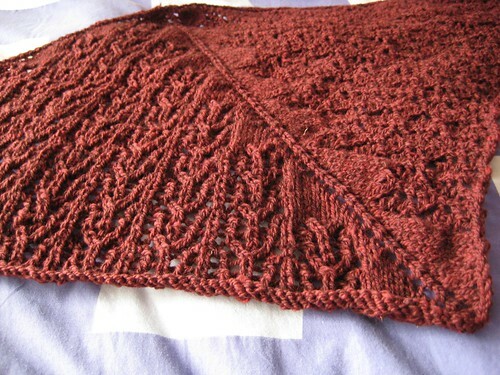 Thanks for post it too, because I’ve always wondered what that lace pattern looks like and it is difficult to tell when it is knit in several Koigu colorways. 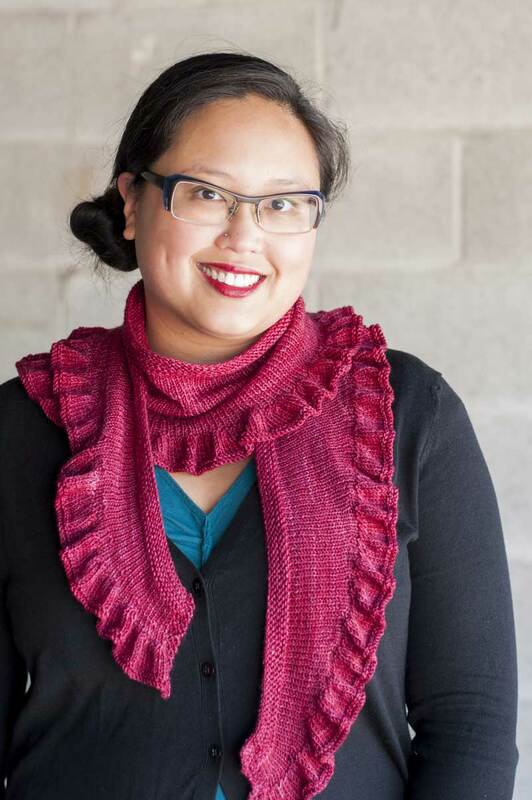 Did you write the Charlotte’s Web shawl pattern? I can’t find it anywhere!